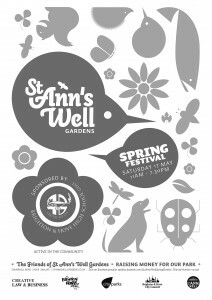 we are playing a free show at st ann’s well gardens spring festival (hove, east sussex) in a few weeks to support our local park. a great day out for the whole family, with stalls and games and live music / noise. it’s a lovely park and a good excuse to introduce the nippers to some rock n roll!